Legal iconography covers a wide choice of subjects. Illustrations in legal books form a class of its own. 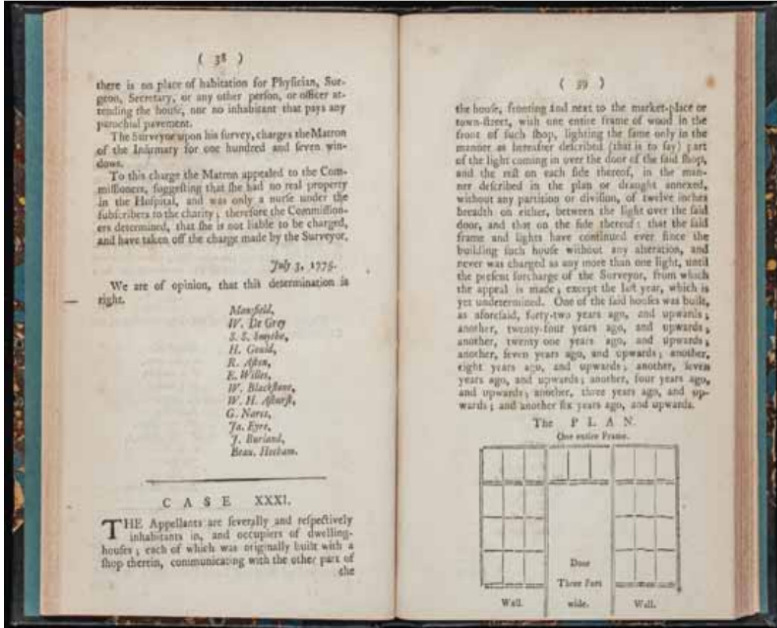 In the exhibition Law’s Picture Books at The Grolier Club in New York illustrated law books from the rich collection of Yale’s Lillian Goldman Law Library are put on display. In some previous posts here this collection has figured prominently, but this is the occasion to show more of its glories. The exhibition is accompanied by a number of online videos created by Mark Weiner and Mike Widener, curator of the Rare Book Room at Yale Law Library. You can consult online many images taken from legal books in this collection at Flickr. The blog of the Rare Book Room often present illustrated law books, too. Yale Law Library show a second related exhibition, Around the World with Law’s Picture Books, curated by Mike Widener and Emma Molina Widener, yet another reason to look here again at this great collection. Mark Weiner, currently on leave from Rutgers University, is best known for his book The Rule of the Clan (2013) and his blog Worlds of Law. The Grolier Club of New York, was founded in 1884. It is one of America’s oldest and most active organizations for book collecting and bibliography, with an extensive library and collections concerning these fields. For the exhibition in New York a full catalogue is available. On the blog of the Rare Book Room Mike Widener tells about the themes chosen for the exhibition. Weiner and Widener have grouped 140 books around ten themes. In the next paragraph you will see which choice I have made among them to give you an idea of both the book and the exhibition. 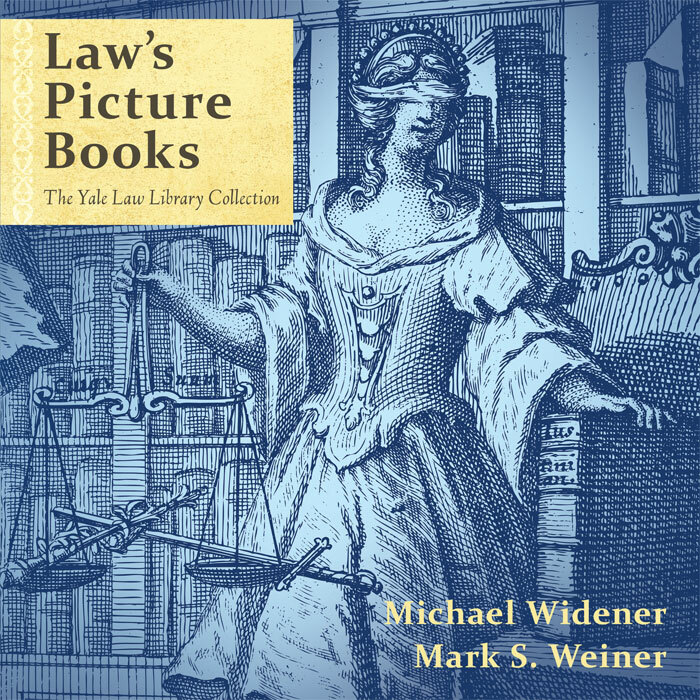 By the way, the image of Lady Justice on the cover of the new catalogue is a reminder of the Justice as a Sign of the Law exhibit at Yale Law Library in 2011 around Judith Resnik’s and Dennis Curtis’ monograph Representing Justice. You can read online sections of their book and view an online version of this earlier exhibit. The new catalogue has been produced very handsomely. It is a joy to read the introductory essays, not only written by Weiner and Widener, but also by Jolande E. Goldberg (Library of Congress) and Erin C. Blake (Folger Shakespeare Library). They succeed in putting the exhibition under multiple perspectives. I will not give here a spoiler of all themes, and restrict myself to just one theme, “Arguing the Law” (chapter 7), with images of evidence used in court and illustrations used to influence public opinion. Here literally the force of the proverbial telling image is shown, for an image shows more than thousand words can say. You can look for example at the victims found in a ship wreck. There are two pictures with windows for cases concerning a tax on windows. Another image shows an early telephone in a case about the patent of Alexander Bell for his invention. Yet another drawing shows a neighbourhood around a block of houses where two of them had been destroyed to prevent a fire to bring even more damage. For an early twentieth-century trade mark case the image of the disputed packing of biscuits is the very core of the case. There is a beautiful drawing of a bridge which allegedly hindered steamboats on the Ohio, and a chilling image of the way torture was afflicted. In one of the five videos you can see the preparations for both current exhibitions, with for example a discussion about the choice of the images for particular themes and the order of appearance in the showcases. It is particular interesting also to see Mike Widener in action both at Yale Law Library (“Two Ways to Work“) and during a visit to the New York antiquarian book fair. In a way the two exhibitions crown his collection policy which led him to create not just a good collection of illustrated law books, but a real great one from which scholars and student will benefit long afterwards. Dutch and Flemish legal history come into view for example with an image taken from a seventeenth-century edition of Joost de Damhoudere’s Practycke in criminele saken where two men are busy moving illicitly poles marking roads. In fact numerous editions of his work are shown in New York and in the catalogue. I promised not to tell here everything, but I must point you to an image of Lady Justice seated on the Corpus Iuris Civilis, the Corpus Iuris Canonici and the Bible in an eighteenth-century Dutch translation of a work on criminal law by the German lawyer Benedict Carpzov. Among the things to note is the author of the engraving, the Dutch actor and artist Jan Punt (1711-1779). It is difficult to stop here and not to continue showing you illustrations which offer you food for thought. For many illustrations Widener and Weiner have not stayed content with just a description, but they ask questions as well, sometimes a bit rhetorical, but more often real questions. The exhibitions in New York and New Haven help us to become more aware of the impact of images, and to see legal iconography as a substantial element of legal studies and legal history. Some newspapers and magazines use a system with stars in their reviews of books, exhibitions and recordings. This exhibition needs no further laurels! This entry was posted in Exhibitions, Libraries and tagged Books, Legal history, Legal iconography, Rare books, United States of America on September 20, 2017 by rechtsgeschiedenis.